UAE-backed Popular Resistance forces captured a mountaintop citadel and an intelligence headquarters and have fought their way deep into the central city of Taiz on Sunday, largely pushing out Houthi insurgents out of the city. The resistance forces captured the headquarters of the Taiz Province’s government building on Saturday. Taiz is Yemen’s largest city and is considered as a gateway to Sanaa, the capital. 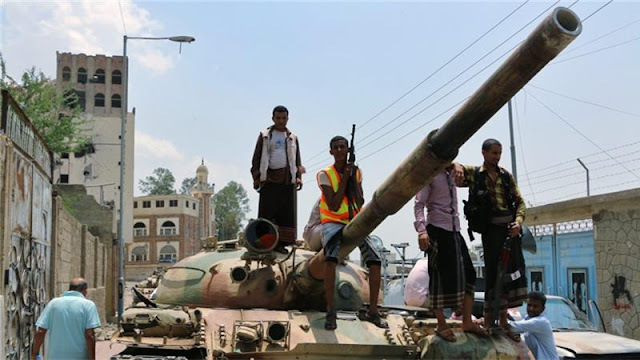 The Battle of Taiz started in April with Saudi-led warplanes striking the Houthi positions in the city, leading to the advance of the resistance forces, backed by the UAE armor and ground forces, into the city to push out the Houthis.